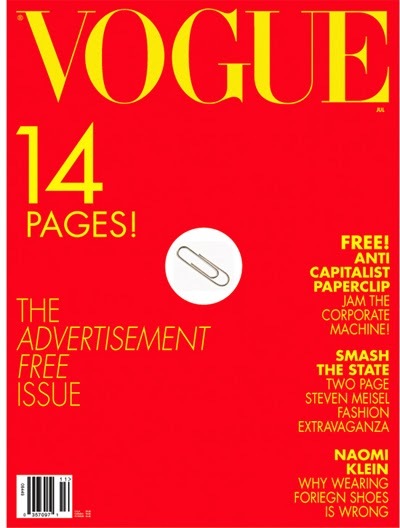 Below is an article taken from Creative Review, which looks at alternative magazine covers for Vogue. 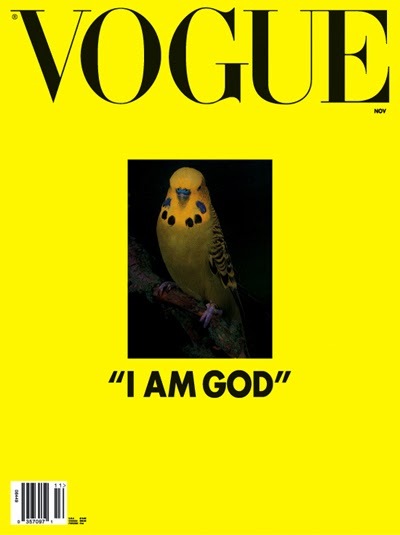 Designed for an exhibition by Artist/Graphic Designer Scott King, these were designed to provoke thought on what could happen to the industry if advertising was disregarded and the 'truth' of everyday living was shown, opposed to the luxury and wealth reflected through Vogue which most cannot afford, and only will ever aspire to have. 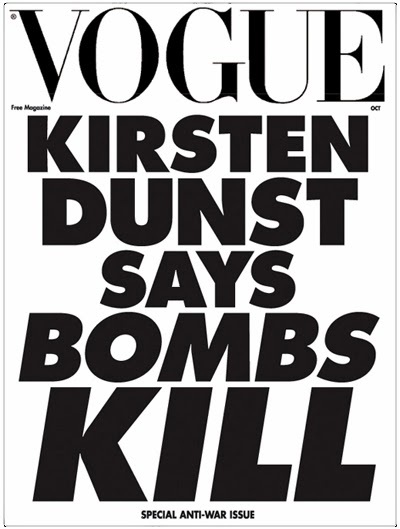 How I’d Sink American Vogue is a project that King first developed for a show at New York gallery, PS1, last year. 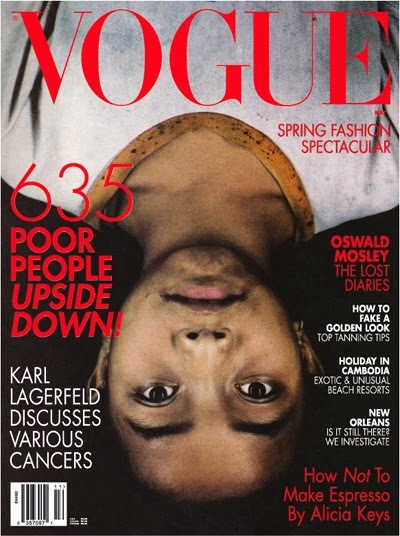 A less likely substitute for La Wintour it is hard to imagine, but with a background at i-D and Sleazenation, King knows a bit about the workings of the style press.